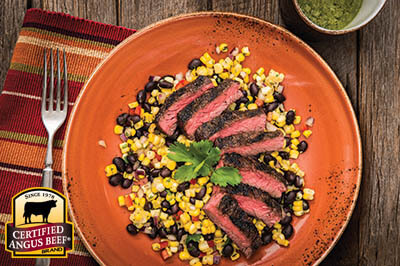 Enjoy flavors of summer herbs as you savor Grilled Skirt Steak with Chimichurri Sauce. This recipe will be a favorite go-to for a special cookout. In a food processor or blender combine parsley, cilantro, onion, garlic, oregano, red pepper and salt by pulsing to a finely chopped consistency. Add vinegar and agave nectar. With processor running, add oil in a slow stream until well combined. Set aside half of sauce in an air-tight container and refrigerate. Put skirt steak in a casserole pan, coat evenly with remaining chimichurri, cover with plastic wrap and marinate in the refrigerator at least four hours, or overnight for deeper flavor and tenderness. Preheat grill. 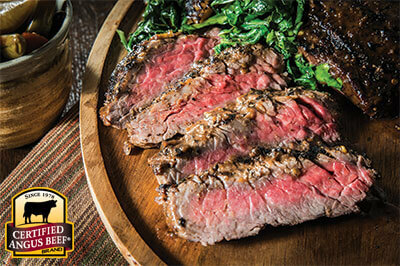 Remove steak from chimichurri marinade and wipe clean, discarding marinade. Grill steaks to desired doneness over medium high heat. 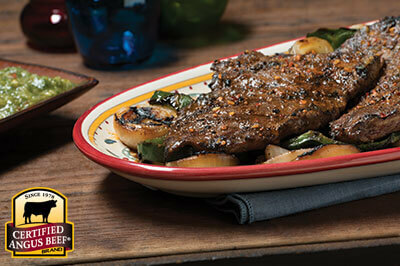 Allow to rest 5 minutes and serve, topping with reserved chimichurri sauce. Yields approximately 2 cups chimichurri sauce.